Students will be participating in a huge sleepout to raise money and awareness for people who are sadly homeless across Teesside. More than 250,000 are homeless in England. Researchers from charity Shelter used data from 2016 statistics to compile what is believed as a conservative total. As temperatures drop, volunteers will be sleeping out during the festive period to highlight the issues of homelessness and recognise what it’s like. People taking part in the event are advised to wrap up warm with hats, scarfs and gloves. Sleeping bags are allowed although tents are not permitted on the premises. There will be free refreshments for the volunteers including cold and hot drinks throughout the night. Bacon sandwiches will be handed out in the morning for those who are a bit peckish after the big sleepout. Sleepouts like this happen quite a lot around the UK during the colder months and a lot of people feel very appreciative about the lives they live once taking part, as it opens their eyes to the struggles homeless people go through. 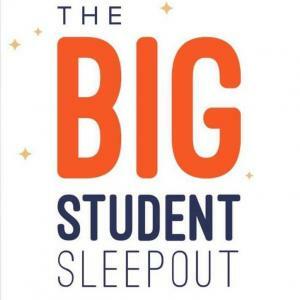 The Big Sleepout was founded in January 2014 with Bianca Robinson as the CEO of the organisation. 16 businesspeople volunteered to raise money for the charity. 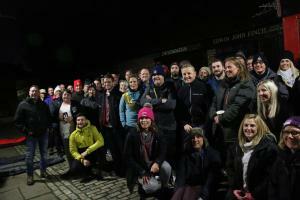 Teesside was the first place to hold the CEO sleepout, as a result of this the business community has got behind the organisation every year with different volunteers. We were able to get an interview with Bianca whilst a sleepout event was taking place at Preston Park Museum & Grounds in Stockton. Bianca explained, “It’s going to be cold, it’s going to be uncomfortable but it will not be as uncomfortable or as terrifying compared to somebody who is forced to live on the streets. This will be the first ever student sleepout that is being held with three Northern Universities including Teesside University, Manchester University aswell as York St John University taking part. 7 February 2019 Comments Off on CAN THE UK GOVERNMENT SOLVE THE OBESITY CRISIS? 7 February 2019 Comments Off on THE HOUSING CRISIS: ANOTHER MILLENNIAL PROBLEM?